We had some super crazy weather a few days before Gwen's Spring Break. 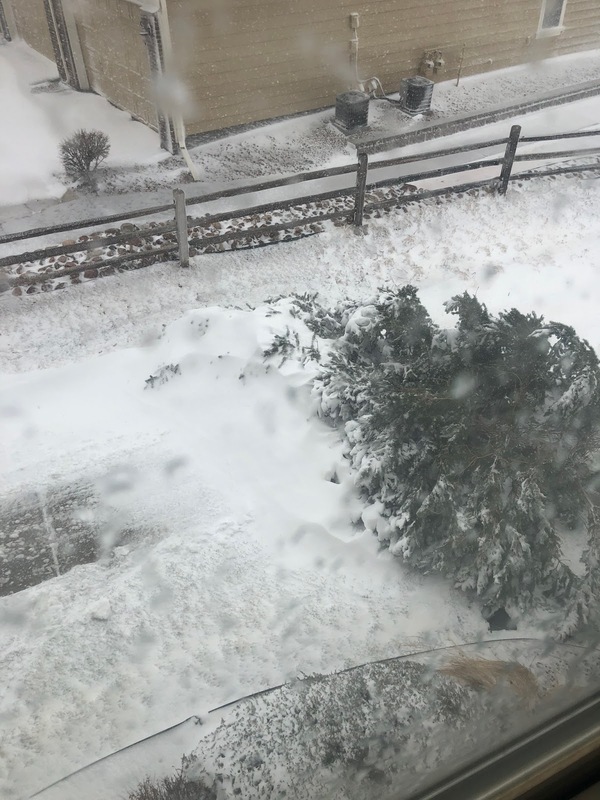 School ended up being canceled Wednesday and Thursday, as a bomb cyclone descended on our area. It was a little crazy! 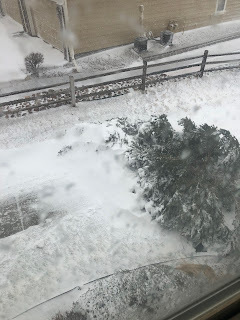 We lost a tree in the back as the winds whipped our area, tossing the snow in all kinds of crazy ways. I think we got about a foot, but as there were areas with hardly a dusting, and areas with over 2', it was hard to tell! 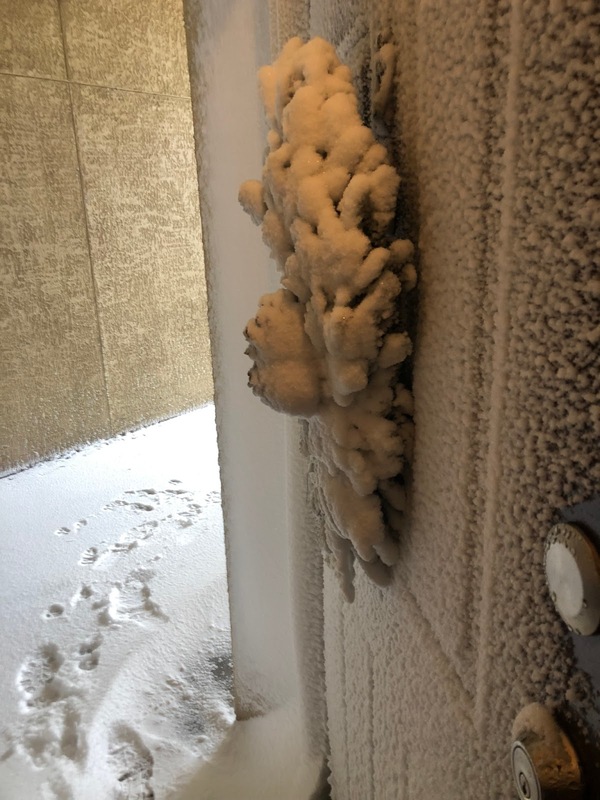 Our front door (in the enclosed hallway, which had 18" drifts!) was plastered. It made the week feel all kinds of weird, and threw our work schedules off, but I was glad that they canceled school. And after Friday at school, it was time for a week off for Spring Break. Gwen and I took a trip (more on that to come! 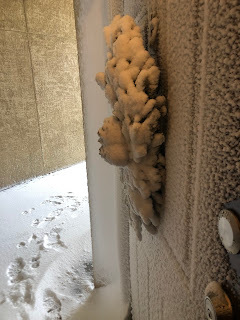 ), returning home to all of it melted away and 50-60* temps! Colorado does like to keep us on our toes, but let me say gratefully and warmly... Happy Spring! !